Review: "College: What It Was, Is and Should Be"
DEMOCRACY, AS WE KNOW IT, is in danger. In recent decades we have seen many great discoveries, but we have also seen the steady demise of one of America's most important democratic institutions: the college. "If we can begin to imagine colleges where students both produce and inquire, the liberal arts ideal, though somewhat re-imagined, can be saved. Eliminating the dualistic attitude, and resolving the divide between the "marketable" and "useless" is a start, but it is only half the battle. Colleges must also face the crisis of cost that has been mounting for decades. There is little hope for an improved future unless we work with urgency and humility in re-imagining the economics of higher education. Unfortunately, most recent innovations in higher education have been concerned with online tools or profit motives. Real reforms that focus on both quality of purpose and cost reduction are rare. We need to foster a community of socially minded, higher education entrepreneurs who embrace not just technology, but history, excellence and value. A liberal arts, residential, place-based college, with small, in-person classes (in the way Mr. Delbanco imagines it), can be affordable -- without loans -- for more than just the privileged few. This sort of school, however, will have to look, act and spend very differently from the norm." Timothy F. Cook (tim@saxifrageschool.org) is founding director of The Saxifrage School, a Pittsburgh-based project to found a new college (saxifrageschool.org). MM is a bit of an open mike but that's only a part of what happens. 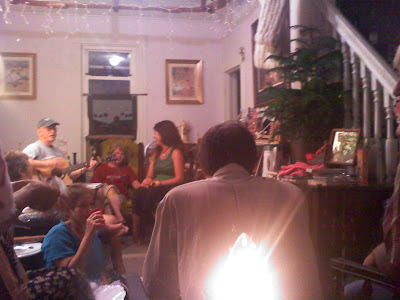 Mellow Mike is more about creating a feeling of community and laughing and singing together, so it's not what we would normally call a show or open mike, it's a fun evening get together where strangers become friends and friends groove to music and enjoy some readings. We like to sing Leonard Cohen songs and Beatles mixed in with folk tunes and oldies and not so oldies and meditative musical improv, Dmitri style. It's all very casual and not a professional performance - very pub or salon style. MM usually starts around 7:30 on Tuesday evenings and runs until 9:30. Folks at Mellow Mike play harmonicas, tambourines, drums, shakers or just sit and listen or get up and dance. "Facts are stupid things," President Ronald Reagan said at the 1988 Republican National Convention. In attempting to repeat a quote from President John Adams, he blew it big time. "Facts are stubborn things," is what our second president actually said, but that didn't matter. Adams was long dead, so no one objected to Reagan changing the meaning of his quote by mangling it. As the 40th president discovered over two contentious terms, facts, like beliefs, are fungible. Facts are as malleable as one needs them to be. Facts aren't stubborn at all. They're stupid. This is the lesson that Tom Corbett, Pennsylvania's far less imaginative governor, has taken to heart. This week, the Corbett administration is in Commonwealth Court defending a voter ID law that could disenfranchise 1.6 million voters.By the administration's own estimates, 758,000 registered voters are missing from PennDOT's photo ID list. The administration believes, however, that as long as the potential for in-person voter fraud exists, then imposing onerous new rules that could bar thousands from the polls in Democrat-leaning areas is an acceptable price to pay for existential certainty. In an ironic tribute to George Orwell's doublethink, Republicans call this travesty "voter integrity." Never mind that there has never been a recorded case of in-person voter fraud in the history of the Commonwealth." The 2012 Loyalhanna Review was unveiled during a Saturday evening party at the Southern Alleghenies Museum of Art at Ligonier Valley. The museum was abuzz with enthusiasm for the quality of the content, both words and images, in the annual literary journal published by the Ligonier Valley Writers. The only somber note was struck by dedication of the issue to the late E. Kay Myers, founding member of the writers group and first editor of the review, who passed away in January. Myers was well-known in the area as an editor, publisher and columnist. Such protests "suggest that the middle class, whose members seemed willing to accept in the 1990s that being able to buy more things equaled having a better life, is now wondering whether one's quality of life has improved if you have to worry about breathing the air, drinking the water, and whether the food you're eating is safe," Jeffrey Wasserstrom, of the University of California Irvine told Reuters. Earlier this month, Shifang city in the southwestern province of Sichuan scrapped plans for a copper plant after thousands of protesters, including high school students, clashed with riot police." "Thousands of Americans from across the country united in Washington, D.C. Saturday to rally in front of the U.S. Capitol and march through the streets to express their outrage about environmental harms from oil and gas development. People traveled to Washington from North Dakota, Montana, Idaho, Texas, Colorado, Wyoming, New Mexico, Ohio, North Carolina, West Virginia, Virginia, New York, Pennsylvania, Maryland, Vermont, Indiana, Illinois, New Jersey, California, and probably more. Some (from PA!) even biked 400 miles to get to Washington. Citizens came from different political views, energy perspectives, generations, and backgrounds. 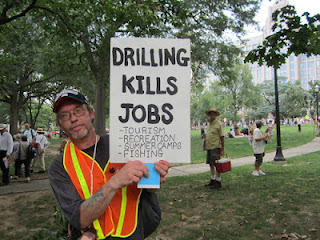 Some were mineral owners, former oil and gas industry workers, farmers, and nurses. They voiced their concerns about clean water, clean air, global warming, toxic waste, and worker safety. 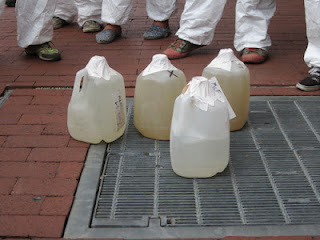 Participants from Butler County, Pennsylvania, brought contaminated water from homes near natural gas production sites. People joined together to show that this is an issue that crosses party lines and state borders. All Americans agree on the importance of clean air, clean water, healthy children, and safe communities. Everyone who rallied and marched today shares these desires and agrees on the need for drastic change in the direction of our energy policy--starting with a change in the rules for oil and gas development, including fracking." 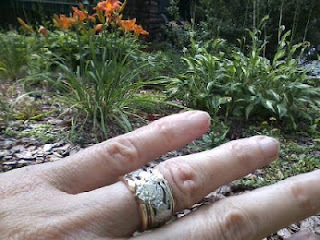 While gardening, I hang my wedding rings on a nail above my gardening table. That way I know they are safe and sound. Well, today when I lifted my rings off that nail, one flew out of my fingers and went who knew where!! 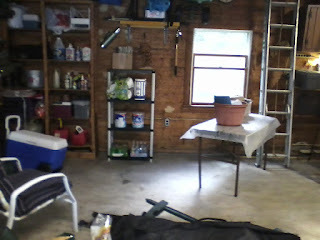 On and around that table were an assortment of bags and baskets which all had to be searched. I pulled everything out and searched it carefully. Nothing. 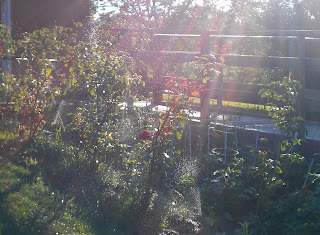 I took a break then searched again, even sifting through the bag of bird seed. 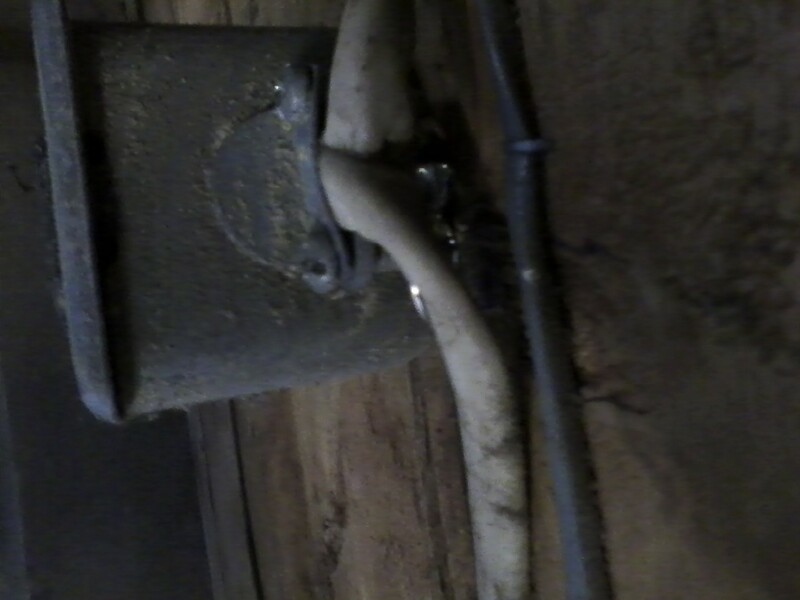 Then I started checking the window and looking carefully, I can't believe I finally found it tucked under the wiring of the outlet that was behind the table. "A recent University of Texas study, which claims to prove that the natural gas extraction process known as fracking does not cause environmental damage or water contamination, was led by a gas industry insider who currently holds up to $1.6 million in stock at a large fracking company. The information was revealed in a new exposé released by the Public Accountability Initiative (PAI). The 400-page pro-fracking review in question was led by author Charles Groat of the University of Texas. Neither Groat nor the University openly reported that Groat himself is on the board of a fracking company, Plains Exploration and Production Company. As a board member, Groat receives 10,000 shares of restricted stock a year. His holdings as of July 19th were worth $1.6 million. He also receives an annual fee, which was $58,500 in 2011, according to filings." What a delicious irony if future generations could look back to Texas as the catalyst that ultimately afforded legal protection to the sky. The TCEQ argued the public trust doctrine applies only to water. Judge Gisela Triana, of the Travis County District Court disagreed. Her letter decision, issued on July 12, 2012 stated, “[t]he doctrine includes all natural resources of the State.” The court went further to argue that the public trust doctrine “is not simply a common law doctrine” but is incorporated into the Texas Constitution, which (1) protects “the conservation and development of all the resources of the State,” (2) declares conservation of those resources “public rights and duties,” and (3) directs the Legislature to pass appropriate laws to protect these resources." UN guns treaty is defeated....YEAH!!! Moran, in a press release, quoted a National Rifle Association leader, who said members would "never surrender our right to keep and bear arms to the United Nations." Treaty opponent John Bolton, ex-President George W. Bush's ambassador to the U.N., wrote that gun-control advocates "hope to use restrictions on international gun sales to control gun sales at home." Both ignore the legal principle that says no treaty can override the Constitution or U.S. laws. The Associated Press fact-checked claims by the NRA and Bolton on Friday and concluded their assertions were false. So, if no treaty can override the Constitution or US Laws, why did treaty supporters want the US to agree to the treaty?? I say we take no chances. We protect our right to arms. Liberty must be defended against tyrants and self serving knuckleheads on both sides of the political aisle. I looked up the origin of that phrase this morning as I pondered my inexplicable password situation with Wordpress. "Oh, East is East, and West is West, and never the twain shall meet." I'm a Google Blogger gal and my friend, Carolyn Holland is a Wordpress gal. Carolyn always has password trouble getting onto Ligonier Living to post. Conversely, whenever I want to comment on her blog or any other Wordpress blog, I can't because Wordpress says I have an account but it can't find that account when I try to retrieve that password or create a new one. So Carolyn and I communicate by email. I can't get into Wordpress and she can't get into Google Blogger. Oh, Carolyn is in Wordpress, and Diane is in Blogger, and never the twain shall meet. Wall St. Journal: "Zoning limits in PA gas drilling law struck down"
NYTimes: "Court rejects a ban on local fracking zoning limits"
Post-Gazette: "PA court upsets Marcellus Shale zoning law"
Trib: "Commonwealth Court strikes provisions of state's new gas drilling law"
Times Leader: "Local official thrilled by Act 13 ruling"
Times Tribune: "State court tosses zoning limits in gas law"
Washington Observer Reporter: "Court rules part of Act 13 unconstitutional"
"James G. Anderson, an atmospheric scientist at Harvard and the lead author of the study, said the findings were enough to cause alarm -- considering the increasing rate of extreme storms tied to climate change. “We were shocked,” says Anderson. 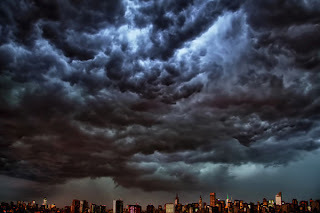 “Standard, run-of-the-mill Midwestern thunderstorms are far more capable of injecting water vapour into the stratosphere than we once thought.” “This problem now is of deep concern to me,” Anderson stated. “I never would have suspected this. It’s the union between ozone loss and climate change that is really at the heart of this,” he said. The two are now "intimately connected.”"
Chip manufacturers currently use production systems based on deep-ultraviolet lithography, which focuses light through lenses to etch circuit patterns onto silicon wafers. While this technology is limited to wavelengths of 193 nm, ASML is developing extreme ultraviolet (EUV) production systems that use light with wavelengths of just 20 nm. ASML says the new technology will enable chip makers "to deliver smaller, faster, cheaper and lower-power devices through smaller geometries on advanced manufacturing nodes". Chip makers currently produce chips on 300 mm silicon wafers but ASML is developing a system that can make chips on 450 mm-diameter wafers, which the firm says would basically double the capacity of chip-making factories at only a fraction of the cost. Brian Krzanich, Intel's chief operating officer, says the firm's investment could result in 450 mm prototypes as early as 2015, noting that in the past transitions to bigger wafers have helped to cut costs by 30–40%. We are rich in energy. Energy: A little more than a year ago, we editorialized in favor of a "North American oil market that would operate independently of a world market." Would that be possible? A fresh report tells us it is. 'The United States, Canada, and Mexico," says the Manhattan Institute, "are awash in hydrocarbon resources: oil, natural gas, and coal." 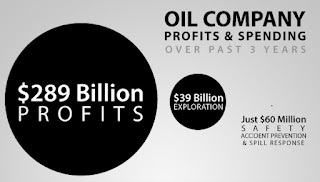 In fact, writes Manhattan Institute fellow Mark P. Mills, "The total North American hydrocarbon resource base is more than four times greater than all the resources extant in the Middle East." "This is what Dow Chemical Company has done. 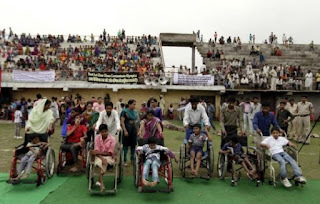 There is no better way to show their crimes," said Rachna Dhingra, a spokesperson for five survivors' groups behind the "Bhopal Special Olympics." 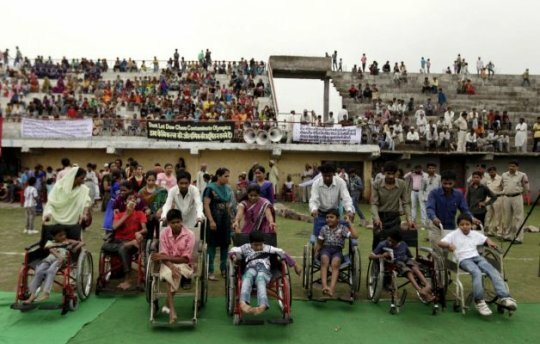 "The Bhopal Special Olympics are being held on Thursday to protest and shame Dow Chemical, one of the sponsors of the London 2012 Olympics. They are being held in a stadium behind the abandoned Union Carbide pesticide factory in India, the site of the world's worst industrial accident, when, in 1984 toxic gas from chemical company Union Carbide leaked from the plant and poisoned the nearby air, claiming thousands of lives instantly, thousands more as time went on, and leaving in its wake a generation of children born with birth defects. Union Carbide was later bought by Dow Chemical, and survivors say the company owes them compensation and must clean up the toxic waste still lingering. Five survivor organizations organized these counter Olympics to oppose Dow Chemical’s attempts to “greenwash its crimes through the sponsorship of the Olympic Games,” representatives of the five organizations said." HARRISBURG -- A Commonwealth court panel this morning threw out Pennsylvania's attempt to establish statewide zoning for Marcellus Shale drilling. The court ruled that the state cannot take away zoning control away from local municipalities as it tried to do when the Legislature passed Act 13 in February. That law, signed by Gov. Tom Corbett in February, enacted a sweeping set of changes for how the oil and gas drilling industry operates within Pennsylvania, including creating an impact fee and, most controversially, dictating what municipalities can and cannot include in their zoning standards for gas drilling. A lawsuit was filed in March, challenging the zoning provision primarily, arguing that the new law prevented local officials from protecting the health and safety of their residents. Calvary Hill Cemetery, Unity Twp.  Cemeteries of Cook Twp.  Cemeteries of Donegal Twp.  Cemeteries of Fairfield Twp.  Cemetery Records, Mt. Pleasant Twp, Donegal Twp, & Saltlick Twp.  Coles Cemetery, Derry Twp.  Fairmont Church Cemetery, Cook Twp.  Feightner Cemetery, Hempfield Twp.  Hillis Cemetery, Hempfield Twp.  Laurel Hill Cemetery, St. Clair Twp.  Ligonier Valley Cemeteries, Ligonier Twp.  Old Harrold Cemetery, Hempfield Twp.  Porch Cemetery, Cook Twp.  Ritter Cemetery, Donegal Twp.  St. Clair Cemetery, Hempfield Twp.  St. Vincent Cemetery, Unity Twp. 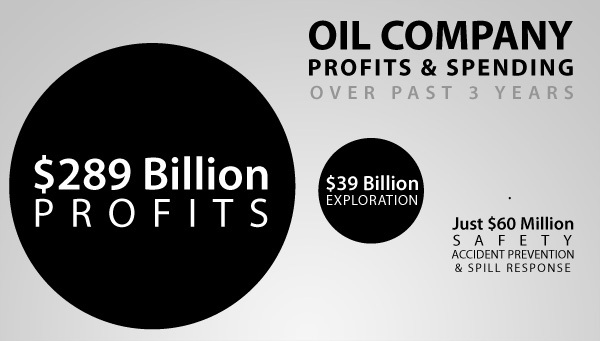 "With the Big Five oil companies – BP, Chevron, ConocoPhillips, ExxonMobil and Shell – slated to announce their second-quarter profits this week, a breakdown of how they spend $375 million in profits per day (that's $261,000 per minute, or a total of $1 trillion over the last ten years, with the added bonus of $6.6 million in federal tax breaks every day, despite reduced production): Mostly on lobbying, obscene CEO compensation, campaign contributions, false pro-oil ads, and more lobbying." 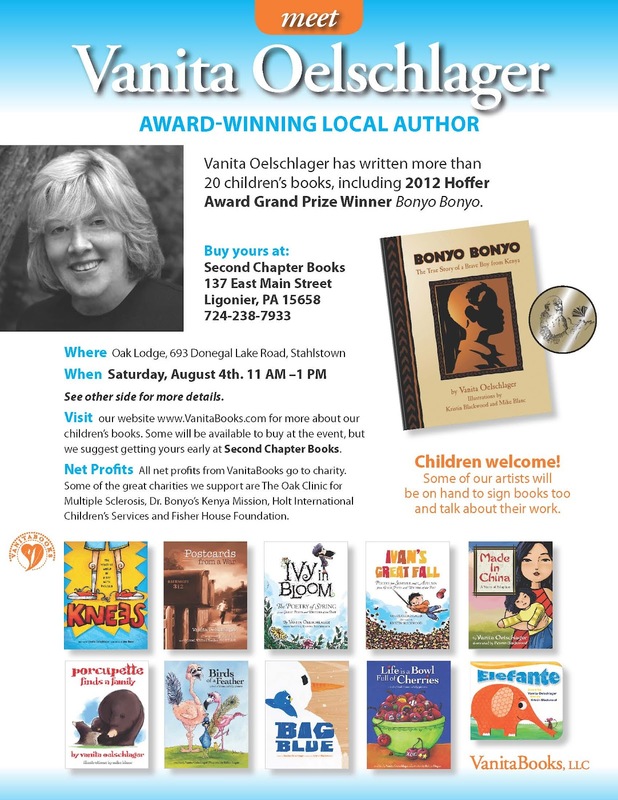 Come join us for a Books n’ Brunch at Oak Lodge in Stahlstown! 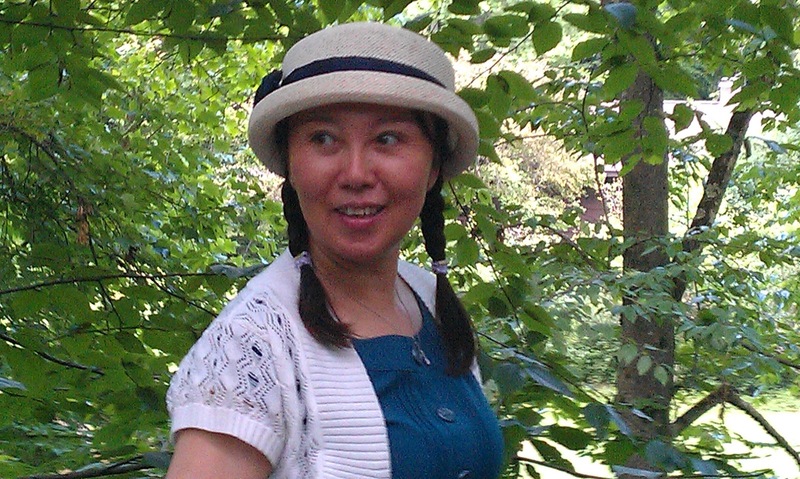 Vanita has also written more than 20 children's books, of which all net profits go to charity. Illustrators will be at the event to sign books and talk about their work. Children are welcome! Some books will be available at the event, but we suggest you get yours early at Second Chapter Books. In addition, brunch will be provided by The Kitchen on Main and guests are welcome to tour the grounds, including our village, Jimberg. A fun event for all! To those of you who love the beautiful blue bird sky, homegrown tomatoes, corn and fresh bread: our special today is a BLT on our homemade cheddar chive bread..side of corn on cob served with lime and basil butter! Enjoy! 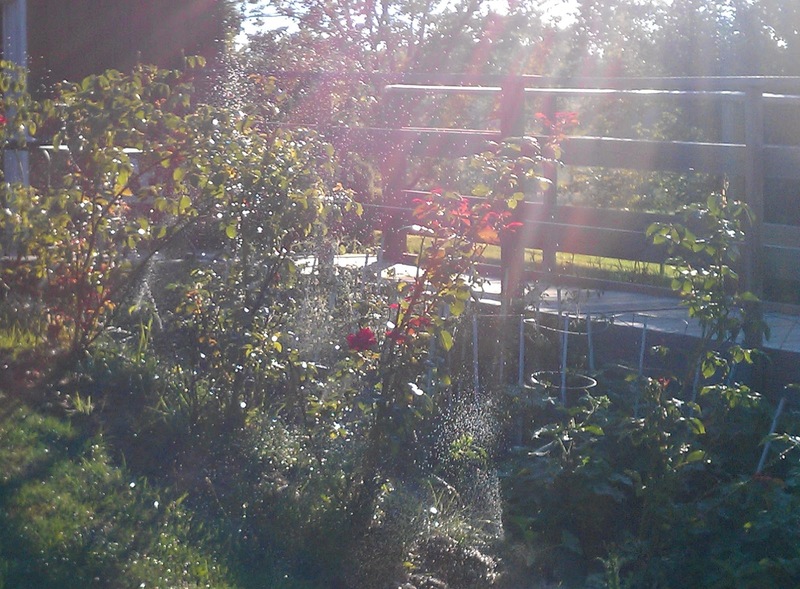 Amy shared a "through the window" look at last night's Mellow Mike. Israel: Gun ownership strictly controlled, although guns are seen everywhere. All ammunition is sold by the government and carefully accounted for. What the study didn’t do was note that it was sponsored by gas drillers and led by an economist, now at the University of Wyoming, with a history of producing industry-friendly research on economic and energy issues. The researcher, Tim Considine, said his analysis was sound and not biased by industry funding. As the U.S. enjoys a natural-gas boom from a process called hydraulic fracturing, or fracking, producers are taking a page from the tobacco industry playbook: funding research at established universities that arrives at conclusions that counter concerns raised by critics." "It must be tough being a parrot for industry when you have a bubbling annulus." "The 34-minute movie "Truthland," starring (a landowner with gas wells) Shelly Depue, has been making the rounds lately, often being sponsored by industry and business groups at various screening locations around Pennsylvania. The seated panels for the Question & Answer sessions tend to be stacked with all pro-fracking individuals, but remember, the movie was funded by the gas industry and their professional associations. 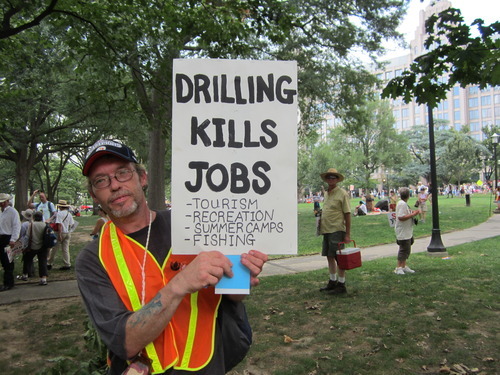 "Truthland" is considered the shale gas industry's counter-punch to the popular "Gasland" movie starring Josh Fox. In the meantime, Fox has released the video, "The Sky is Pink" as a prequel to "Gasland II." Research has revealed that there is trouble in truth land: One of the Depue wells (8H) is severely flawed with a bubbling annulus. An annulus is the cemented layer between layers of steel; you know, the one that "never leaks" and can survive cannon-type explosions as seen toward the end of the "Truthland" movie. Two more of Sherry Depue's wells (2H and 6H) have Pennsylvania DEP violations, which are shown below. Needless to say, it's not going nearly as well as all the "experts" interviewed in the Truthland movie led Shelly to believe it would!" Peter Parker finds a clue that might help him understand why his parents disappeared when he was young. His path puts him on a collision course with Dr. Curt Connors, his father's former partner. Movie times and prices are: Fri & Sat at 7:30 PM, $6 Adults, $5 Senior Citizens & Students plus our Sunday Bargain Matinee at 2:30 PM for just $4 for everyone! Remember, we are still celebrating our 'Eats, Treats & Movie Seats!' Just by coming to the movies, you are eligible to win a $25 Gift Certificate from a local restaurant, Pairs of Movie passes and Pairs of Tickets for our upcoming musical, 'Woman of the Year!' Every week, we will have a gift certificate from a different restaurant, so c'mon back and we'll see you at the theatre! Today's lunch special: French toast made with our cinnamon raisin peasant bread, topped with a bananas foster caramel sauce. served with a side of sausage. comfort food for a rainy day! Egg or chicken salad as always on our homemade bread. 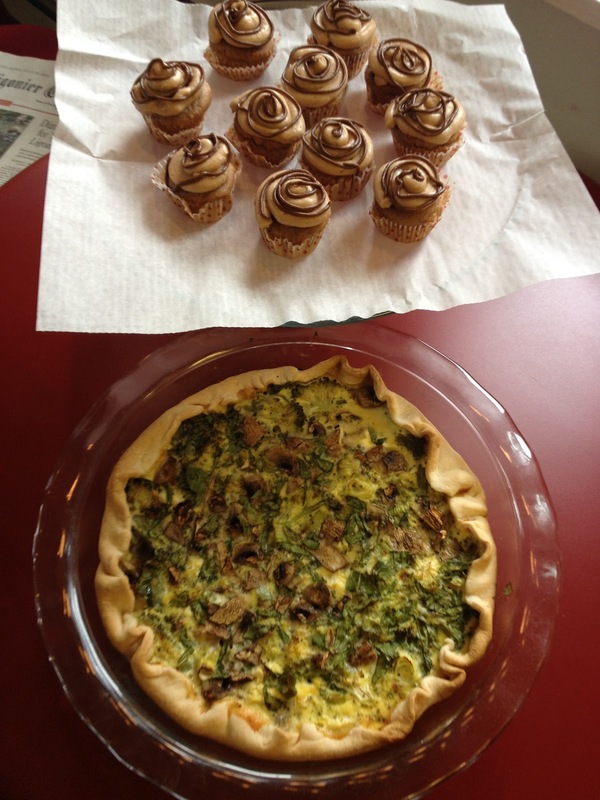 we have brownies, sugar cookies, banana or bran muffins, peanut butter cookies, scones, bagels etc... in the case! I came into the office and heard a tragic story this morning. I know a family who are really good with animals. They have had numerous dogs over the years and the dogs are always well cared for and trained. They have always had a cat and took precautions to protect the cat when strange dogs came to their house. Yesterday, they let their guard down and their cat was viciously cornered and torn apart by two visiting dogs. That's just a horrible thing to think about. Just as horrible as what would happen if a friend brought a pet bird or hamster to my house. My cats would viciously kill it. Animals have instincts and yes, some learn to live together and become pals, but caution is the word when animals don't know each other. I have a cousin who has always had collies. She loves dogs and walks hers regularly with others. She told me of one terrible day when another dog walker joined them with a small dog. Before anyone could stop it, one of the large dogs had grabbed the small dog and tore it apart. Be careful. Be smart and never assume that animals will behave as you expect them to. 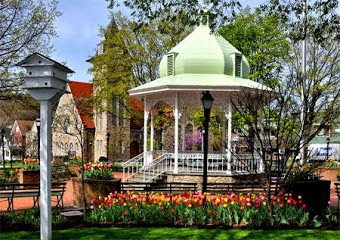 The Lincoln Highway Heritage Corridor is sponsoring a bus trip from Latrobe to Pittsburgh on Wednesday, September 5, 2012. Passengers will travel the historic Lincoln Highway to the Senator John Heinz History Center, where noted author and Lincoln Highway historian Brian Butko will give a special presentation, followed by a self-guided tour of the History Center. A private tour at Penn Brewery, the City’s oldest and largest brewery, will reveal why German hops and two-row barley play such a significant role in their award-winning brew. Afterwards, a German-style lunch buffet will be served in their Ratskeller. Our next stop is the Frick Car and Carriage Museum’s permanent display of vintage vehicles, where a 1932 air-cooled Franklin Convertible Coupe was brought in for the summer season. Their orientation film on Pittsburgh’s role in the developing automobile industry is priceless. An extensive printmaking exhibit is in their temporary gallery. The tour will finish up with a refreshing dessert stop! Tickets are $60 if reserved by August 15, $65 until August 22. Call the Lincoln Highway office (724-879-4241) for details/registration, or, to register online, visit our web site www.LHHC.org . Hope everyone is enjoying a lovely Sunday! We at Allegory Gallery are currently planning some wonderful workshops, inviting guest artists from around the country to visit and teach. While we love our home-base, our space is quickly filling up and room for larger classes and workshops is dwindling. 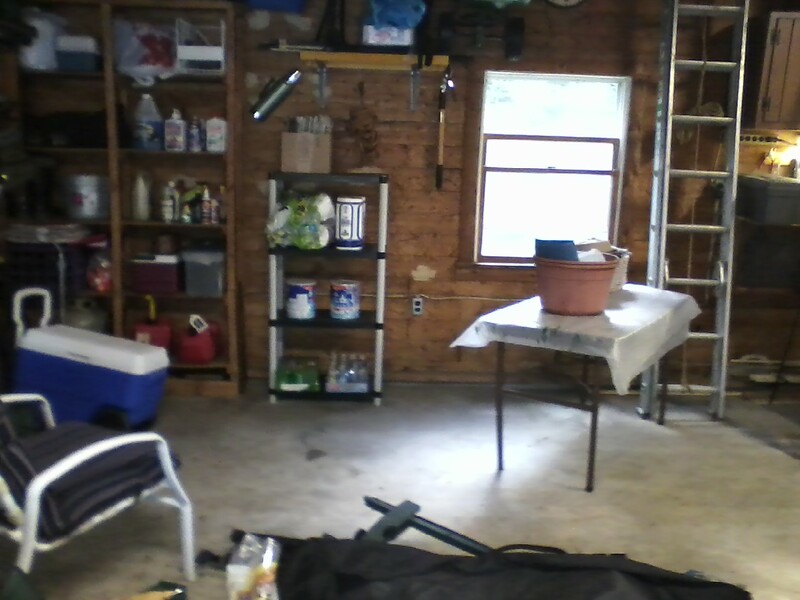 Is there a place in town that has an extra room for a workshop with tables and chairs and restroom facilities? Some of the proposed workshops involve micro-torches. Is there anywhere that would be able to accommodate us? Ideally we'd like to stay in town within walking distance of all the great things we have to offer (including our storefront for emergency supplies and what not) and hopefully the place we partner up with will be reasonably priced! Eventually we'd like to put on larger events... but for the time being we'd love to find a facility that can fit ten or twelve folks comfortably! "What's happened to intellectual life on the right? Conservatives may be succumbing to their default position. Most of the candidates for this year's Republican presidential nomination denied the veracity of evolution; and, according to various polls, Republicans increasingly distrust science. As the world becomes more threatening, many people seek simple answers, and many Americans conclude that an elite—from which they are excluded—must be the source of the ills. They turn on intellectuals, professors, and presumably the specialized knowledge those experts trade in. Instead of resisting that tendency, conservative intellectuals such as Gelernter encourage it. In their flight from elitism, they end up in a populist swamp peopled by autodidacts and fundamentalists. They become cheerleaders for a world without intellectuals, hastening a future in which they themselves will be irrelevant." Hi Diane! I found a young, frightened kitten on the Diamond today during the craft show. A few brave vendors helped me catch her. 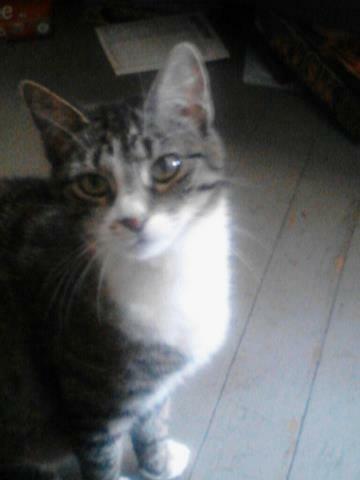 I'd like to locate her family or find her a great home. Could you please post this on the Ligonier Blog for me? You can also post my email address-neftalei1@yahoo.com. Thanks a bunch, I appreciate your help! "It's a trick. When people tell you that you shouldn't politicize a tragedy like the shooting in Aurora, Colorado they are unwittingly helping to spread NRA propaganda. After a tragedy like that, it is the most logical thing in the world to ask what went wrong and how we can fix it. When you ask that question, the obvious answer is our gun laws. It's awfully hard to stab 70 people and kill 12 of them in a short period of time like that. It's very easy to murder those same people if you have an AR-15 assault rifle, a shotgun and two glocks. This is the obvious conclusion that the NRA desperately wants you to avoid. So, they do a brilliant trick where they tell you that you are not allowed to talk about the problem in the immediate aftermath of the violence and death their guns caused -- that would be politicizing the tragedy. They know that after a certain amount of time passes people are going to move on anyway and never get back to the issue. Big news events are when people are motivated to action. That's exactly why Republicans and the NRA don't ever want you to talk about guns after a big news event like this. They figure that within a week people will get distracted and the gun manufacturers they represent can go back to making money off of weapons that murder us." ewwww, what a gross day! But you know what isn't gross?... Sticky buns, espresso chai chocolate cupcakes, creme de menthe brownies, cinnamon raisin bread, chicken salad sandwiches, grilled cheese, blueberry buckle, cookies, bagels, granola, etc... :) So if you aren't interested in getting wet at the market or on the diamond, come down for a treat! There is a flash flood warning for this area til 7pm. Avoid flood areas. Check local media. We lost 2 dogs in the Oak Wood Hills area. 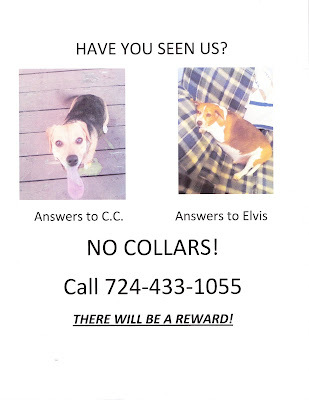 One is a brown and white beagle, overweight and Answers to Elvis. the second one is a black and tan beagle cross. How do we go about getting this posted on your site? BUILD YOUR OWN PIZZA FRIDAY! Homemade artisan crust with your choice of SAUCE: red, pesto, garlic CHEESE: Mozzarella, feta, cheddar, white cheddar VEGGIES: green/red pepper, shrooms, black olives, pineapple, onion, broccoli, tomatoes, fresh basil, fresh spinach MEAT: pepperoni, sausage, bacon and ham! SIDE SALAD! 724-238-3810. We can deliver to our local business and merchants! Enjoy! 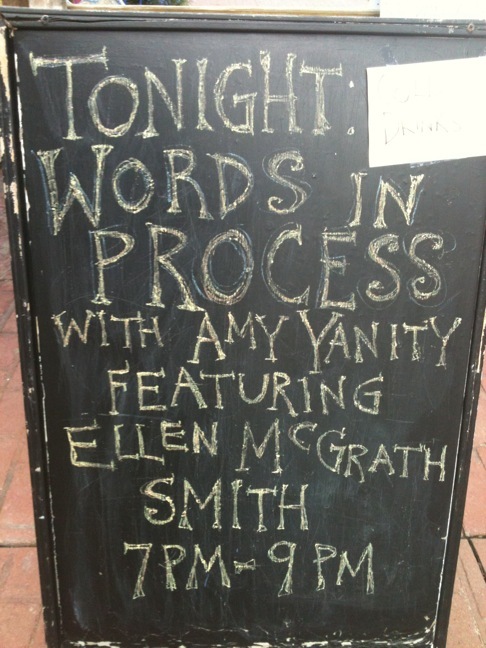 Please join us at Allegory Gallery (139 East Main Street) TONIGHT for Words in Process with Amy Yanity. This month we are featuring special guest, Ellen McGrath Smith. 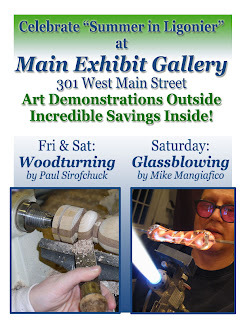 This FREE event runs from 7PM to 9PM. Complimentary wine will be served! Come by and be entered for a chance to win a $25 gift certificate! No matter how many of America’s picturesque pathways Kevin Kutz travels in search of prospective sites to set up his easel, he always finds his way back to the Lincoln Highway. On July 22 at 2:00 p.m. at the Lincoln Highway Experience the Bedford-based artist will display and discuss a selection of artworks he has created along the iconic national road over the past 32 years, including one recently completed piece never before exhibited, at the Lincoln Highway Experience. An accomplished musician, Kutz will also entertain attendees with a medley of road songs. Kutz has performed as a fiddle, banjo, and mandolin player with many known musicians throughout Pennsylvania over the years. Since 2006 he has recorded and performed with Bedford County's The Coal Mountain Ramblers. The Lincoln Highway Experience is located at 3435 Route 30 East (near Kingston Dam) in Latrobe. Because of limited seating, advance reservations are required. Call the Lincoln Highway Heritage Corridor at 724-879-4241 to reserve your seat. An entrance fee of $10 per person ($7 for Friends of the Lincoln Highway) includes light refreshments. Tomorrow evening is Words in Process at Allegory Gallery! This special reading series is presented by local poet, Amy Yanity. 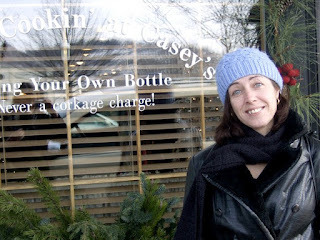 This month's featured author is Ellen McGrath Smith. The event is held every third Thursday from 7PM to 9PM. 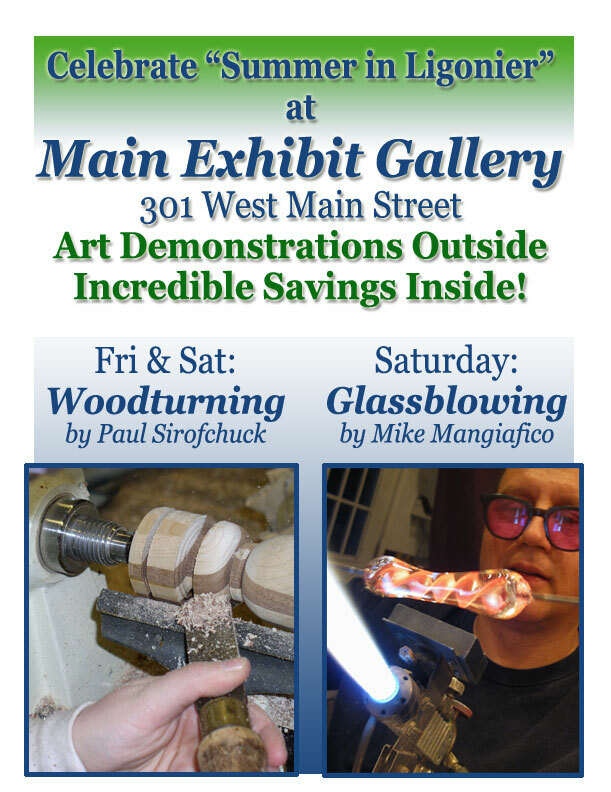 Please stop by to show your support for these types of events in Ligonier! Come and join us, the Pirate game will be on in PJ's Pub. TODAYS LUNCH SPECIAL: Southwestern chopped salad with corn, black bean, tomato, chicken and homemade dressing. Served with spice infused baked bread triangles! We also have chicken or egg salad with yummy fresh baked bread! Our case is full of sweets...GRANOLA,MUFFINS, BLUEBERRY BUCKLE, COOKIES, BROWNIES...enjoy! We Are Laying Groundwork for the "Next Great Revolution"
"At the Green Party’s 2012 National Convention in Baltimore over the weekend, Massachusetts physician Jill Stein and anti-poverty campaigner Cheri Honkala were nominated the party’s presidential and vice-presidential contenders. We air the convention’s keynote address delivered by Gar Alperovitz, a professor of political economy at the University of Maryland and co-founder of the Democracy Collaborative. Alperovitz is the author of, "America Beyond Capitalism: Reclaiming Our Wealth, Our Liberty, and Our Democracy." In his remarks, Alperovitz stressed the importance of third-party politics to challenge a corporate-run society. "Systems in history are defined above all by who controls the wealth," Alperovitz says. "The top 400 people own more wealth now than the bottom 185 million Americans taken together. That is a medieval structure."" We had such fun at Mellow Mike tonight. The room was packed and full of fun and music. Too bad no pictures. Jim Kozak had the big surprise of the evening. He showed us a painting he did of Pete and Steve performing. It's good!!! Jim's entering it into a juried contest. I need to find out where so we can go see the exhibit. As a U.S. Army intelligence officer, Rector native Dennis Kraft constantly is keeping an eye out for the enemy. “My job is to figure out where the bad guys are and what they’re doing,” Kraft said. In fencing, the combat sport that uses bladed weapons, the approach is the same: Attack and defend, or lose. The Words in Process Reading Series, a monthly series that hosts local writers, is set to feature Ellen McGrath Smith, Pittsburgh area poet and writer. The reading will be held Thursday, July 19th at 7 PM at Allegory Gallery. An open mic for writers will follow. Ellen McGrath Smith teaches at the University of Pittsburgh and in the Carlow University Madwomen in the Attic program. Poems have appeared or are forthcoming in Now Culture, Sententia, The American Poetry Review, Cerise, The Same, Kestrel, Oranges & Sardines, Diner, 5 a.m., Oxford Magazine, The Prose Poem, Southern Poetry Review, Descant (Canada), and others. Anthology publications include: For a Living: The Poetry of Work (U. of Illinois), Letters to the World: Poems from the Wom-Po Listserv (Red Hen), Beauty Is a Verb: The New Poetry of Disability (Cinco Puntos), In a Fine Frenzy: Poets Respond to Shakespeare (U. of Iowa), and Joyful Noise: An Anthology of American Spiritual Poetry (Autumn House). Flash fiction published or forthcoming in Weave, Switchback, Thickjam, Thumbnail, and The Shadyside Review. 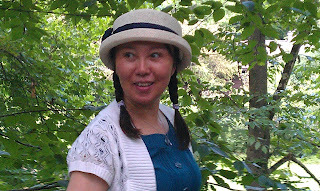 Her critical work has been published inSagetrieb, The Denver Quarterly, The American Book Review and other journals, and most recently in the book Critical Insights: The Bell Jar (Salem Press). 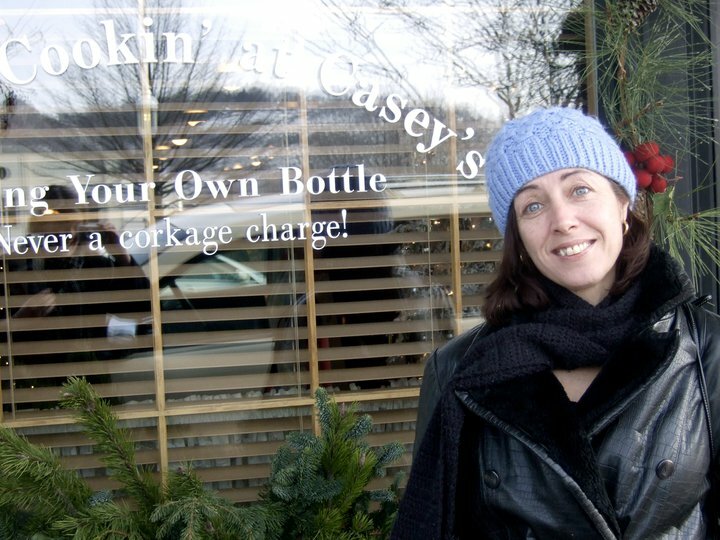 Her poetry has been recognized with an Academy of American Poets award, a Rainmaker Award from Zone 3 magazine, and, more recently, a 2007 Individual Artist grant from the Pennsylvania Council on the Arts. Words in Process is held at Allegory Gallery on the third Thursday of every month at 7 PM. How do you frack right? Can it even be done? Many environmentalists, including Bill McKibben and Robert Kennedy Jr., initially supported natural gas as a “bridge fuel” between greenhouse gas-intensive fuels such as coal and newer, cleaner technologies like solar panels, but have since backed away in light of an avalanche of studies and anecdotal evidence about groundwater and air pollution, landscape and habitat destruction, and far more methane emissions from drilling than previously thought. Governments at every level have been struggling with these questions. Colorado’s Boulder County and the state of Vermont have placed a moratorium on fracking for now, raising legal questions about who can properly make those decisions."